Cloning is absolutely crucial for marijuana growers but it takes skill, experience, a good motherplant, and the right tools/materials to get the top marijuana cloning success rates. Dip them in cloning gel or cloning powder. Put them in water that has plant/rooting tonics (such as willow extract) and/or other growth factors (such as nutrients and Roots Excleurator). Put them in water only, and then put them in soil, soilless media, or aeroponics. Put saliva or honey on the ends and then plant in soil, soilless media, or aeroponics. Of these choices, the most popular is to dip cut clone ends into hydroponics cloning gel or powder (sometimes known as rooting powder). But marijuana growers are arguing about the value and effectiveness of cloning gels and powders. Marijuana growers also complain that cloning gels and powders are unreliable, aren’t “organic,” or are overpriced. I’ve experienced problems with marijuana cloning, and sometimes I’ve blamed it on the gels or powders I used. At other times, I’ve gotten 100% or near-100% cannabis cloning success, and I gave the gels and the powders credit. Some marijuana growers report using cloning gels or powders that didn’t generate any roots at all. Or, they report cloning gels that rooted close to 100% of even marginal marijuana cloning material. Sometimes they use the same bottle of cloning gel, and one batch of clones fail, while another one succeeds. 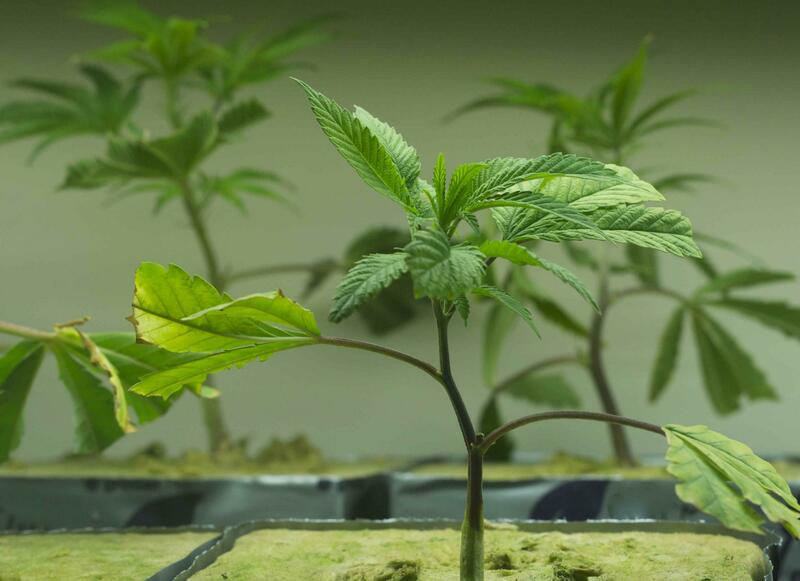 Marijuana growers assume cloning gels and powders all have pretty much the same ingredients, especially a “rooting hormone” plant growth regulator (PGR) or “auxin” called indole-3-butyric acid (IBA). In actual fact, there are many differences in price, effectiveness, and components between brands of rooting products. Some contain NO IBA. Others contain IBA— but only in very small (perhaps ineffectual) amounts. Or the IBA is not properly configured in base materials, so it’s rendered ineffective. Some cloning gels and other cloning products have artificial dyes, fungicides, water, beneficial microbes, “organic” rooting compounds, or “secret ingredients.” Some cost $5 a bottle at Home Depot; others cost $25 a bottle at the hydroponics store. With so many brands, ingredients lists, and price points in the rooting/cloning products marketplace, you’d have to have a warehouse-sized, high-tech sealed grow op full of identical cuttings to do a side by side marijuana cloning comparison to even begin to determine what’s “the best” cloning gel or rooting powder. Besides that, cuttings are not identical. Your marijuana rooting success depends not just on what gel or powder you use, but also on your cut technique, your motherplants, your marijuana strains’ genetics, your tools and materials, your lighting, and the environment you put your clones in. Cloning gel manufacturers didn’t want to talk about this topic for the record, or much at all. Fortunately, I talked to a hydroponics expert named Pete who works with Superior Growers Supply hydroponics stores and the manufacturer of Clonex rooting gel. He was the only person in the hydroponics cloning gel manufacturing industry who talked to me intelligently and honestly about cloning gels. 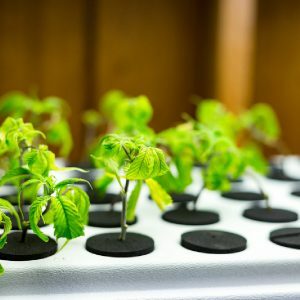 I did a survey of marijuana cloning products’ complaints and compliments heard at hydroponics stores and on marijuana grower’s forums, and scanned the marijuana online community to see the crazy arguments and well-meant cloning materials suggestions that growers are trading back and forth. Here’s the takeaway: every major brand of commercially-available cloning gel and powder has a percentage of haters who say the rooting product failed them. But a lot of that hate is based on false correlations. The haters don’t realize the cloning gel or powder they use is but one of many factors that influence cloning success. It’s easy to blame cloning materials, and in some cases, they are at fault. But experienced marijuana growers know that cloning techniques, age and condition of the motherplant, nutrients issues, genetics, and other factors also influence cloning success. Many growers suspect rooting product batch quality control goes up and down . I heard numerous stories about growers using a cloning gel brand that worked great for two cloning cycles, then when they bought another batch of the same brand, the clones failed. It’s likely that some cloning gel manufacturers don’t ensure that their gels have the same ingredients, ingredient ratios, and quality control batch after batch. Or maybe the product sat at the shelf on the hydroponics store too long. Juicy Roots (currently unavailable, according to the manufacturer, but may be re-launched in an improved version by the end of 2014). The Clonex brand is the go-to option for the majority of professional marijuana growers. Makers of cloning machines recommended Clonex more than they recommend any other brand. Clonex has the highest ratio of favorable comments versus negative comments, and is widely used worldwide. Also, remember that hydroponics marijuana cloning success isn’t defined only by how fast and how many marijuana cuttings root. It’s also how healthy your cannabis cuttings are, how quickly they’re ready for transplant, how healthy their root systems are, their growth rate, and their eventual harvest quality. There are many other factors that go into successful marijuana cloning (such as whether you use cloning machines and if so, which brand of cloning machine). So look for more cloning tips and tactics in future articles. 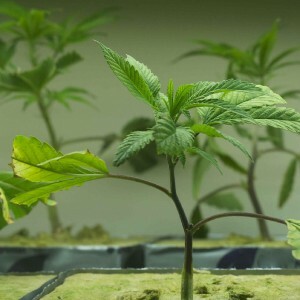 If you’ve ever had problems getting marijuana clones to root, I’m hoping this article has increased your marijuana cloning rewards. 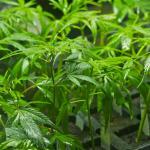 If you have near-100% marijuana cloning success, consider yourself skilled, lucky, or both.